Many of London’s wealthiest residents are drawn to Westminster, home to London’s greatest attractions. Rentify can help you make the most of your letting with our handy borough guide. At Rentify we have property specialists dedicated to Westminster, armed with local expertise and unmatched valuation knowledge to find you the right tenants. The City of Westminster is one of the most visited boroughs in London owing to the multitude of tourist attractions that it houses. Westminster is of course the home of the UK government, as well as the Queen’s principal residence Buckingham Palace and popular tourist site Trafalgar Square. The borough is also very fortunate to have Hyde Park within its boundaries, which is one of the most beloved parks in London. There are several residential districts in Westminster that are home to some of London’s wealthiest residents. Regal Belgravia boasts elegant Georgian townhouses, while Maida Vale attracts residents who love to wander along its canals and explore its boutiques and cafes. Westminster is served by most tube lines and major train termini such as Paddington, Charing Cross and Victoria stations. Housing stock in Westminster tends to focus on flats, which ties in with the borough’s dense population. However wealthy districts such as Belgravia have plenty of townhouses and mansions. Property styles in the borough are diverse, with elegant period properties nestled alongside modern new build developments. Westminster's many districts each have their own character, catering to a variety of residents. Here's our top picks for new landlords in the area. This borough covers the EC4, NW1, NW6, NW8, SW1, SW7, W10, W11, W1, W2, W9 and WC2 postcodes. Rentify uses proprietary methodology for data collection and processing. 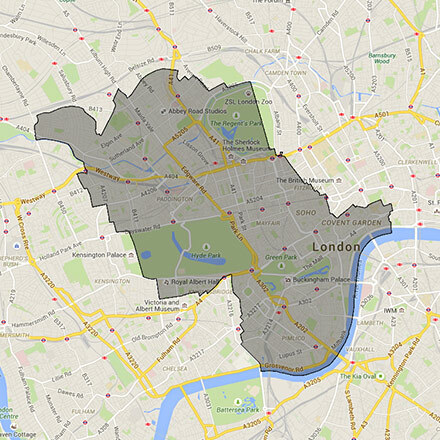 Borough data is collected from Rentify's property database and external public sources.